With the current stringent water restrictions in Cape Town, many people are reducing the number of times they wash their hands each day in an effort to save water. While it is necessary to save water, not properly cleaning our hands after using the bathroom, or before preparing and eating food, can increase our risk of infection-especially in the hot weather! Some people have switched from hand-washing to using wet-wipes to clean their hands. While this will save water, imagine the huge extra burden these one-use discarded wet-wipes will have on waste disposal and our beautiful earth! 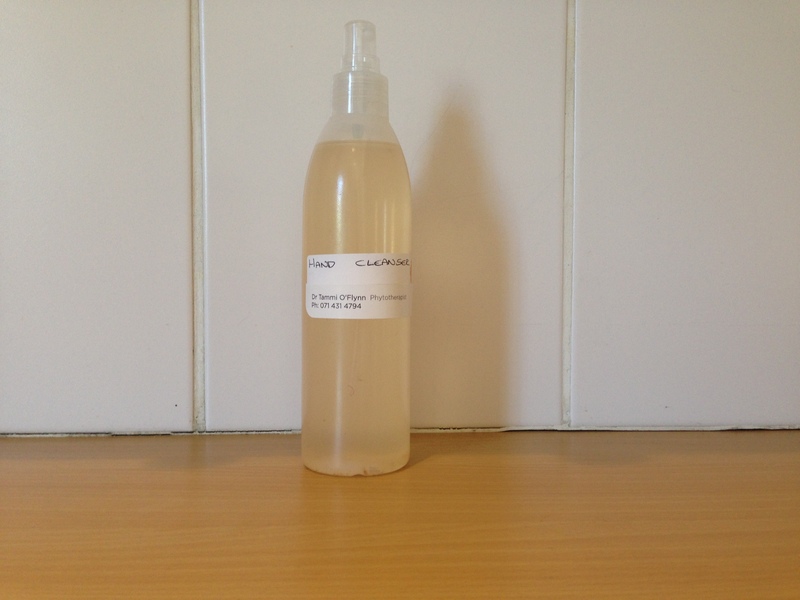 So I have an alternative solution for you: It is budget friendly and easy to make; completely natural, kind to our bodies and the environment and perhaps most importantly: really effective at cleaning and sanitizing our hands! The lavender and tea-tree oils are anti-bacterial and the thyme is anti-fungal and anti-viral. The apple cider is a good medium for dissolving the essential oils and also will keep the skins PH balance- so no drying out the skin! NOTE: Undiluted essential oils are super-concentrated and VERY strong. They can burn the skin. Always ensure you adequately dilute the oils and only use the recommended amount of drops. 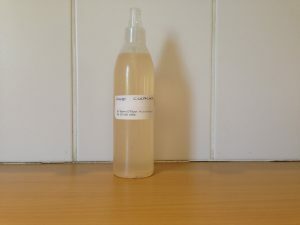 Pour 20ml apple cider vinegar into the plastic bottle. Carefully add: 10 drops lavender oil; 8 drops tea-tree oil; 4 drops thyme oil into the vinegar. Top up the bottle with the water. Shake and spray! This spray is also effective as a bathroom sanitizer. You may notice the essential oils may settle out to the top on standing. Shake before use. 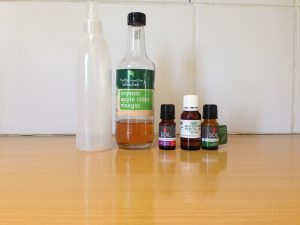 I hope you enjoy this simple, effective and easy to make hand cleaner. I saw Tammi on 2 occasions for reiki treatments and I must say, she was a living embodiment of the benefits of reiki and a balanced lifestyle. At the time, I was going through a particularly stressful period of my life and Tammi had a wonderful, positive aura about her and a very calming effect. The treatment itself was incredibly relaxing and I emerged from it feeling more equipped to deal with the hassles and stresses of modern life.